Funeral services will be held in Bermuda. 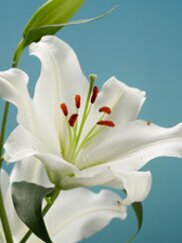 Samuel “Sam” J. Donato , Jr.
View The Obituary For Paul R. Bibeault of Woonsocket, Rhode Island. Please join us in Loving, Sharing and Memorializing Paul R. Bibeault on this permanent online memorial presented by Cartier’s Funeral Home. View The Obituary For Julie Rose Brown of Braintree. Please join us in Loving, Sharing and Memorializing Julie Rose Brown on this permanent online memorial presented by J.B. Johnson Funeral Home. EASTON—–Phyllis M. (Brown) Howard, 100, a resident of Easton for the past 65 years, passed away peacefully, December 2, 2018 at Good Samaritan Medical Center in Brocktton after a brief illness. She was the wife of the late Robert D.